A combination of black tourmaline, black agate, and rhodochrosite creates this statement piece. Toss in the variety of shapes and cuts and you have a truly eye-catching necklace! 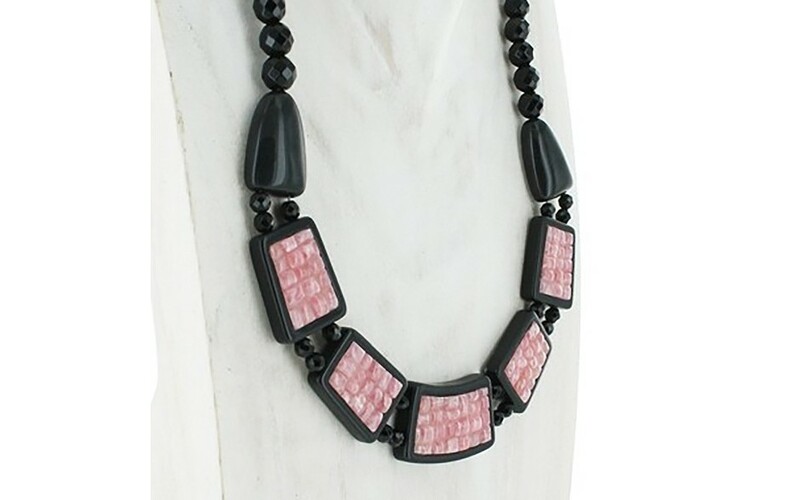 The geometric shaped tourmalines have been inlaid with lovely, milky pink squares of rhodochrosite and connected with black faceted rounds of black agate which attaches to a freeform tourmaline stone. 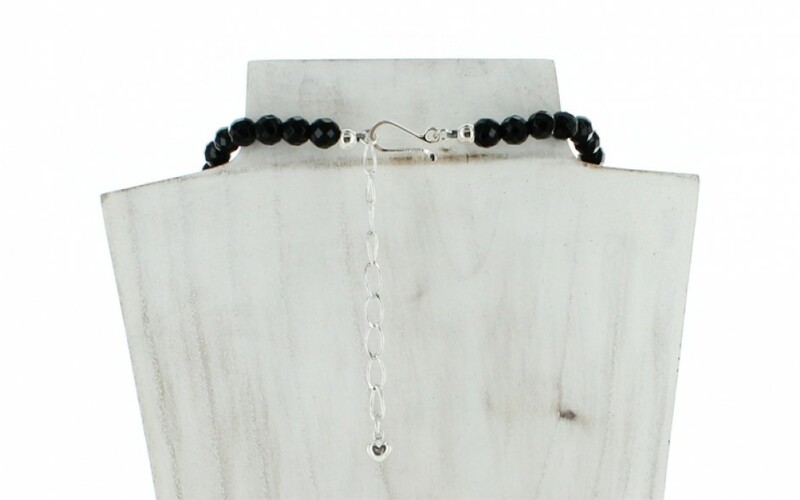 Another strand of faceted black agate attaches to the hook and extender chain. 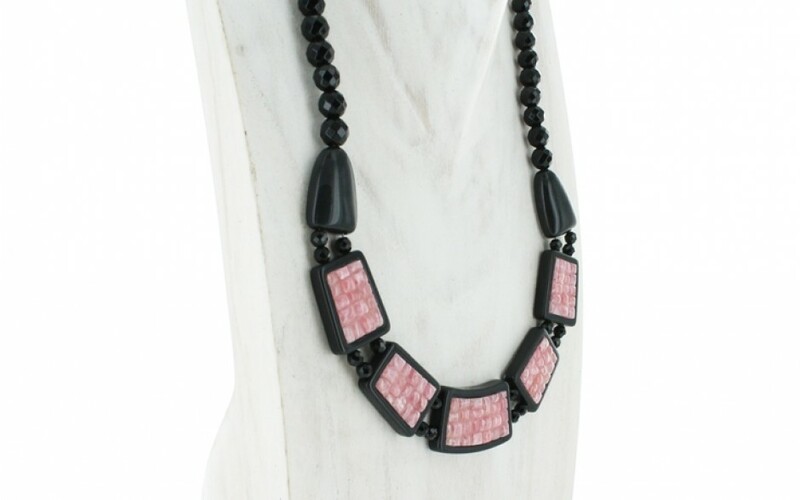 The black tourmaline is natural, untreated and mined in Australia, the black agate has been color enhanced and was mined in South Africa, and the rhodochrosite was mined in Argentina.